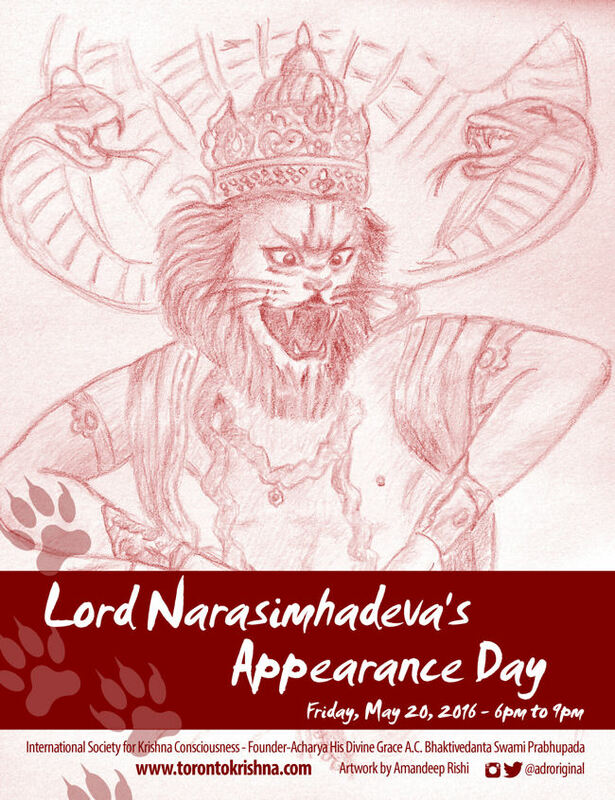 Lord Narasimha's App Day - May 20, 2016 ~ The Toronto Hare Krishna Temple! 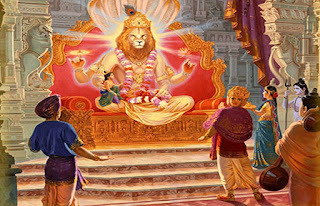 On Friday May 20, 2016, ISKCON Toronto will celebrate Narasimha Caturdasi. Lord Narasimhadeva is one of Lord Krishna’s incarnations in the form of half-man and half-lion. Lord Narasimhadeva descended to protect his young devotee Sri Prahlada Maharaja from his torturous father, King Hiranyakashipu. 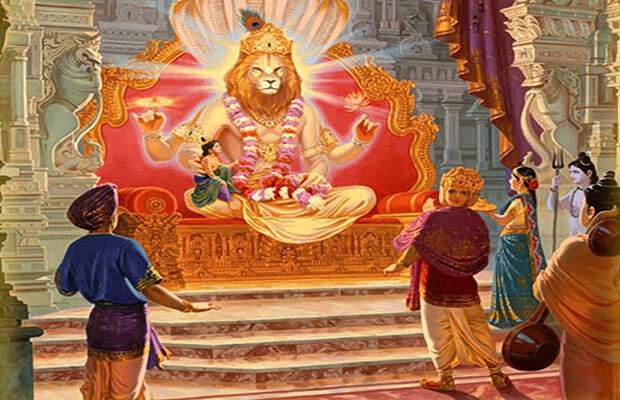 There many prayers to Lord Narasimha that invoke powerful mantras for protection, appealing to the Lord's half-lion incarnation and His weapons. These are for protection from such things as malevolent spirits and material desires, as well as increased devotion and a peaceful world. We humbly invite you to join us to celebrate Nrsimha Caturdasi on Friday, May 20, 2016 from 6:00pm to 9:00pm at the Hare Krishna Temple!